What If Birth Control Were Free? More Women Would Use It. "The average woman spends 30 years of her life trying to avoid getting pregnant." Well, when you put it that way. From that campaign we told you about, pushing for full coverage of birth control under health-care reform. Petition here. 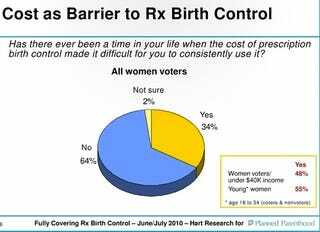 Wouldn&apos;t It Be Nice If Birth-Control Pills Were Free?